Normally pet training consultations will take 2 hours, ideally with your family present. A history of the problems will be taken and your pet’s behaviour assessed. A behaviour modification pack will be set in place with therapy undertaken in close co-operation with your veterinary practice, keeping them informed on progress and developments throughout. Sue Kewley Dog & Puppy Training Suffolk Practice offers dog and puppy training, Suffolk and Norfolk, and in other areas by special request. There are a lot of reasons why your pet dog may be hard to manage at times. Changes in the household can cause a lot of stress and anxiety in a pet. You may have builders or decorators in. Perhaps you have guests or a new baby. Even changing things in the garden can cause disruption to a dog’s routine. It’s rarely just one thing that causes an upset. It can be a combination of ill health or other changes that make your dog start to behave differently. Training your dog is something you may have considered when he/she was just a puppy. Maybe you first came to own your dog when he was an adult. 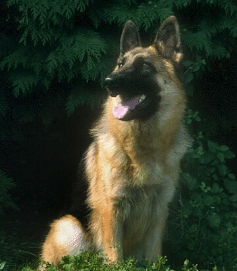 Without structured training, a dog may be prone to behavioural problems. These can cause disruptions in your life. Some of the the most common difficulties dog owners experience include pulling on the lead and barking. You may think these are normal behaviours you can’t do much about, but you don’t need to suffer! Behavioural modification is what the consultations will address. A dog training consultation will offer you the chance to identify clearly what is unacceptable with your dog’s behaviour. You will also be able to start to clarify the causes and triggers of the behavioural problems. Most importantly, you’ll be on the way to resolving your dog’s problems. You’ll be helping him/her to feel happier and more confident in each environment. If you need a Norfolk or Suffolk puppy training specialist that works with your local vet, then I am here to help. There are many reasons a dog owner might call for me to help. Anxious puppies can become miserable dogs, so it’s important to treat the problem as soon as you can. Jumping up, aggression, and stealing can all lead to big problems for you as an owner. You don’t have to suffer your dog’s behavioural problems, and your dog shouldn’t have to suffer them either. Your one to one dog training consultation will last for two hours. This provides ample time to get to know your dog and you well. It’s important to gather as much information about your dog’s history and the problems you’ve been having. This offers an understanding of your current routines and management of your dog’s behaviour. It is then possible to determine how your dog feels as difficult situations arise. The consultation will lead to a full and comprehensive behavioural modification and management programme. This will be devised in collaboration with your vet and you. Together, we’ll make sure it is suitable and appropriate for your pet. As the therapy is undertaken, my close involvement ensures everything works well. Your pet can become the happy dog you want him to be. Most importantly, you will feel happy that you can manage them confidently. All dogs have their moments of naughtiness of difficulty. But some will continue their inappropriate behaviours, making your life and theirs quite unpleasant. A dog training consultation will help curb those behaviours, and help you regain control of the situation quickly and easily. A happy dog makes for a happy owner.